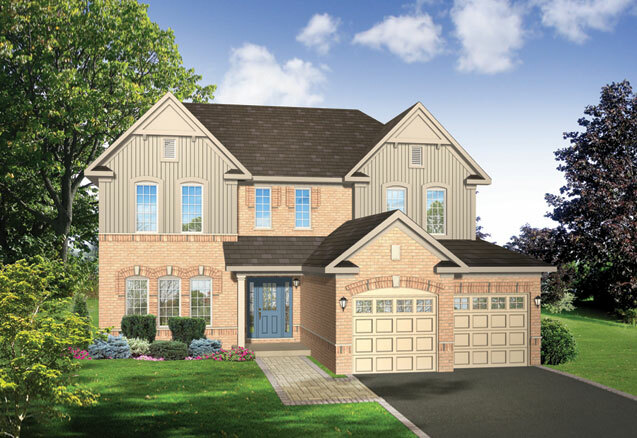 The Oakwood is a very spacious two storey, four bedroom home with an attached two car garage. 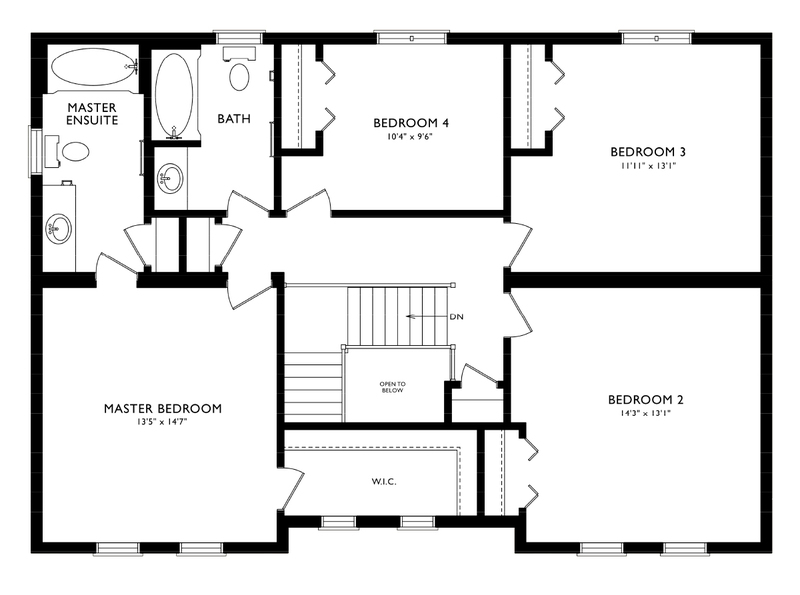 All four bedrooms are located on the second floor while the rest of the living space is on the main floor. 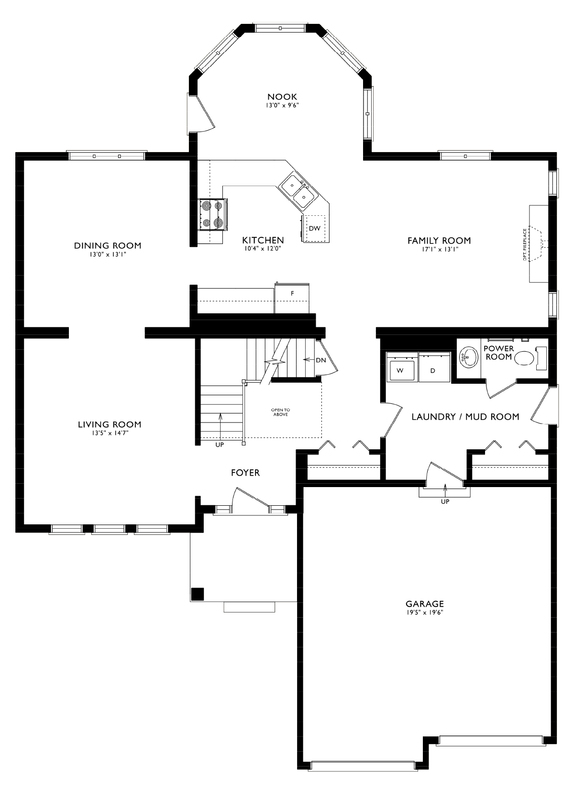 The large family room, and kitchen with peninsula and eating nook, are located at the back of the home, and are ideal for entertaining and active families.